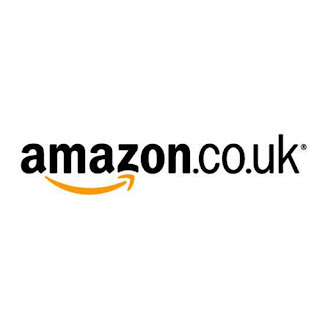 I'm giving away a £20 Amazon E-Voucher to one lucky person. To be in with the chance of winning all you need to do is enter via the rafflecopter below. The more entries you complete the better chance of winning! The winner will be announced on Twitter and Facebook a few days after the giveaway ends. I buy a lot of things from Amazon,I'd probably spend it on books though,I get through a book every 2 -3 days. I'd love to put the voucher towards a mini instax camera. I've started a memory book this year, in fact I made mine! The size of the photos would be ideal for my book and help me capture events, visits and meet ups that we have and share as a family. We have a house move planned in Spring so I am sure we could add some eventful pics to the book! I would buy a crochet book. I would put the voucher towards some well needed shelves in the kitchen.....I'm a practical person! Wow, thanks for this I love amazon vouchers. If I won I would spend the voucher on new bedding, thanks. I would buy some books, probably one for my daughter and one for me! I would love to win this to put towards a new watch. I would use it on a new rice cooker. I need a new pair of shoes for gardening, mine fell to pieces! I would get some books for my Nannie & I! I think I'd get the latest books in a few series I am reading and catch up! I'd spend it on a new pc keyboard. I think it would be a mix of books and films. Id put it towards some walking boots. I'd buy books or DVDs from my ongoing wishlist! I'd love a good book to get me through this nasty winter weather! Oh dear, I'v not put my instagram name in the box & I can't edit it- its dragon60. sorry. I would spend it on some new cook books i need as recently have to change my diet to gluten free and do not know where to start! Books as always, I seem to put more in my wish list than I have time to read or money to buy! I would put it in my savings towards a bed & mattress! I’d give this to my mum for her Kindle! A new notebook and colourful pens! A case for my son's Nintendo Switch. Some more new books. Not that I need anymore, I have bookcases full!! Got several family birthdays coming up, so it'll easily be spent on prezzies. I would buy some Lego for my kids. I'd put it towards a Kindle. I really need some workout gear! new books and dvds i think! I've got plenty on my wish list! I'd like to buy some bath bombs and smellies for me, but I'd probably end up buying school trousers for my daughter! We'd like to enter please. I'd get a new keyboard I think. Probably something very dull, that I'd rather not disclose. Put it towards buying new kitchen items, everything i have is so old! I'd love to treat myself to some new release cookbooks! |I'd treat myself to some new books. I would get a new game for my Xbox One X. Some new books and a new bamboo hairbrush! i would buy some stationary and supplies for university! I would use it to stock up on cat food.. I have 5 cats now as I just keep rescuing them so I need all the extra food I can get haha! I would put it towards a kindle. I'd put it towards a new vegetarian cookbook. My son has just decided to become a vegetarian and I must say, there's not much in my repertoire that works for him. I need educating! A home brew beer kit! I would put the voucher towards a new shredder. I would use the voucher to buy my Grandson some jigsaw puzzles for his birthday in February. He loved puzzles, so I know it would be a voucher well spent. I would love to get some treats for my doggies. I'd put it towards a filter for one of my camera lenses. Both my boys need new duvet covers so a fireman Sam and a Pokemon one. Very specific I know. More craft supplies, I am always needing more! Something for my sons upcoming 21st, Champagne maybe ! This would go towards something for my sisters first baby due in march. I would treat the family to a new board game for family game night. I'd buy a new powerbank! I would put it towards a pressure washer. Boring but true! I would love to win a £20 voucher to put towards some new travel supplies for our Florida Hols. I'd get some ingredients for making cocktails! Really would love a new Kindle Fire as mine wants to retire. So would put it to that. Thanks for the chance. Thomas things for my little boy! I would let my son pick something. I've almost finished a crochet cardigan for my granddaughter, so I'd probably buy some more yarn, maybe cotton so I can make her a summer cardigan. I'd put it towards more kitchen gadgets!